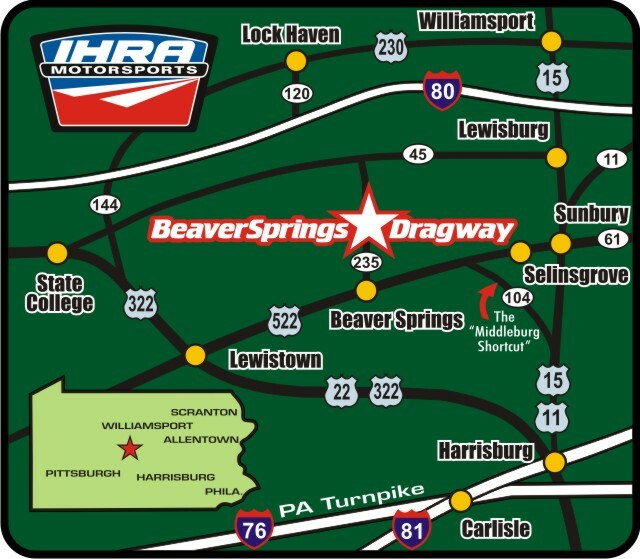 Beaver Springs Dragway is located midway between Selinsgrove and Lewistown, just 2 miles north of Beaver Springs on RT 235. WARNING! DO NOT USE MAPQUEST! It will direct you over mountains. For directions, visit www.beaversprings.com! US-522 North to Beaver Springs. 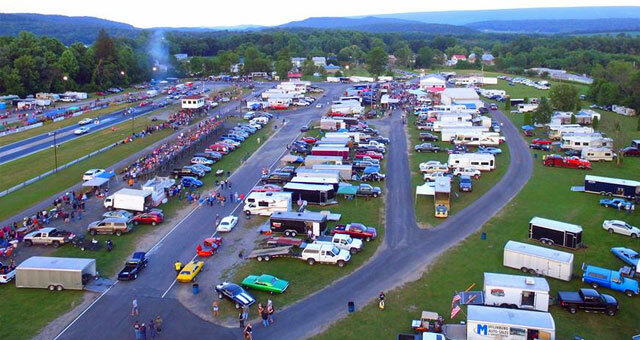 PA-235 North to the track. US-322 West, cross the Susquehanna River to Clark’s Ferry. US 11-15 North to just 2 miles past Liverpool. Here’s a real short cut, saves 12 miles! PA 104 North to Middleburg. US 522 South to Beaver Springs. I-80 West to exit 224, Danville. US-522 South to Beaver Springs. PA Turnpike West to exit 247 Harrisburg East. I-283 North/US-322 West towards Lewistown. PA Turnpike East to exit 180, Fort Littleton. I-81 South to I-80 West. I-83 North to US-11-15 North. I-80 East to exit 210, New Columbia.